CLAPPERTON, Irene Ellen (nee Jones). Passed away, peacefully, at Elmwood Private Hospital, aged 67 years. 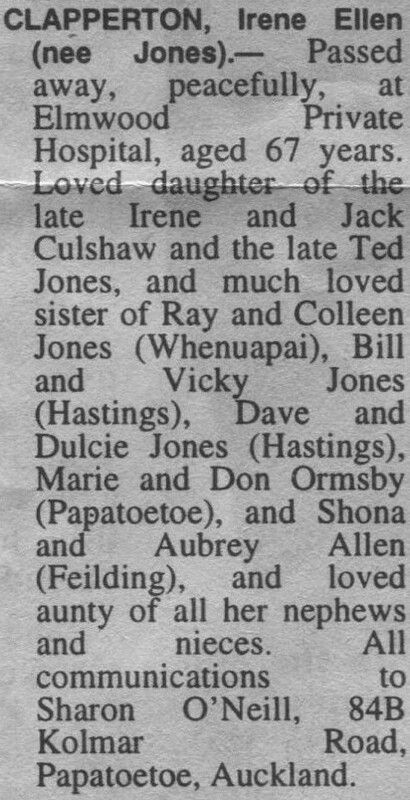 Loved daughter of the late Irene and Jack Culshaw and the late Ted Jones, and much loved sister of Ray and Colleen Jones (Whenuapai), Bill and Vicky Jones (Hastings), Dave and Dulcie Jones (Hastings), Marie and Don Ormsby (Papatoetoe), and Shona and Aubrey Allen (Fielding), and loved aunty of all her nephews and nieces. 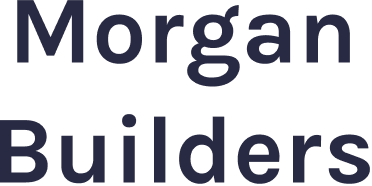 All communications to Sharon O’Neill, 84B Kolmar Road, Papatoetoe, Auckland.